As far as it concerns your vacation this year, you chose to go to Sevilla, in Spain. You read some information on the internet, but you keep having a question: what to see in Sevilla, once you get there? Too many long articles on the web, and you don’t like reading the whole explanation of a place that you haven’t visited yet. We want to help you: this is a small guide to help you go around the city without missing monuments. Plaza España is a very beautiful square located in Parque de Maria Luisa. Built in the shape of a huge circle, it has a large fountain in the centre, while its walls have a design showing the tile artwork of each province. The Real Alcázar, the royal palace located just by the Cathedral, is one the Unesco World Heritage Sites, that’s why it is a must see place in the city. It stated to be built at the beginning of the XIII century and it ended up completed only 500 years later, at the beginning of XIX century. The entrance ticked is 8 euros and if you are a student, you only pay 2. The palace is opened from Monday to Sunday from 9:30 am to 5:00 pm. You can’t miss the Catedral de Sevilla, the cathedral built between the XV and the XVI century, after the very well famous Reconquista. This church is one of the largest medieval and gothic cathedrals of the whole country, Spain. The inside space is full of gold objects and paintings and you should better visit it since it is another of the Unesco World Heritage Sites. 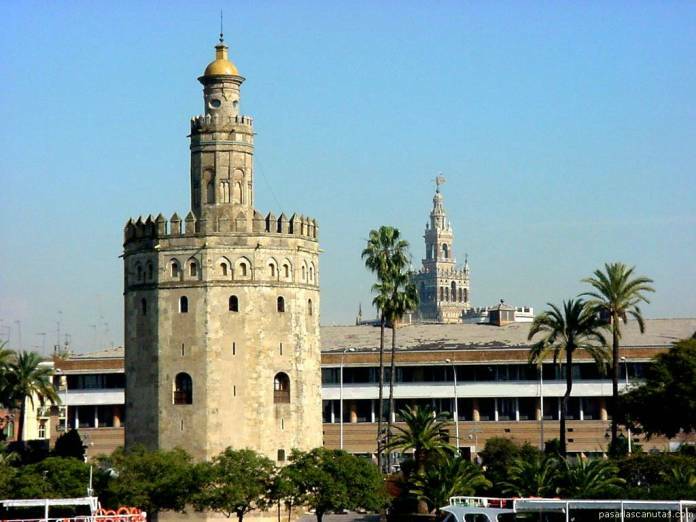 Climb the stairs to go to the top and get a very beautiful and fascinating view of the city, after having visited the Giralda bell tower.